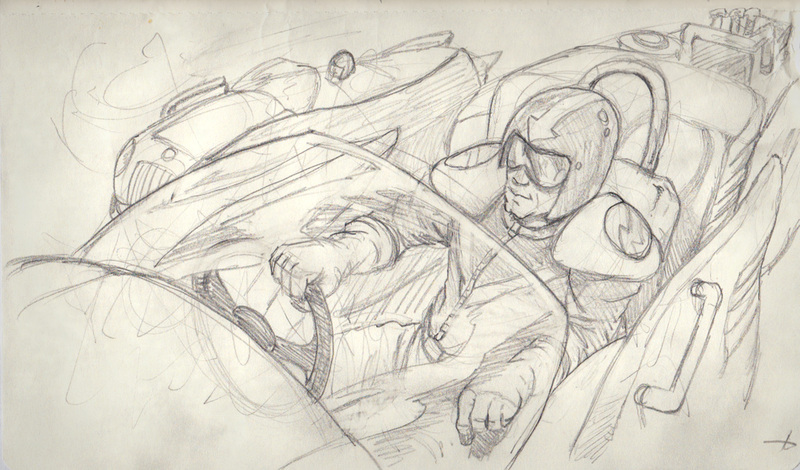 More sketches this time, maybe I’ll get time to turn some of these into finished work some of these days. 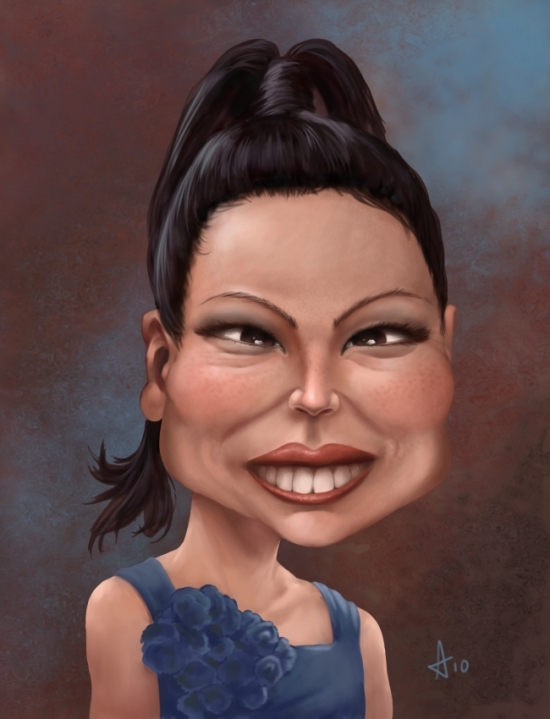 As a continuation of my working on caricatures, here’s one of Lucy Lui. I’ve joined up over on Wittygraphy to connect with others who might be able to give me some specific feedback. Quite enjoying doing caricatures, and it really helps in other areas, by making me study faces, shapes of noses, mouths, eyes etc. It means when I’m painting other pics, I have some features stored away in my memory to call upon. I’ve been feeling that a lot of the characters in my pics have been looking the same, hopefully doing these will stop all that. I took a break from Merv for a few days, had a bit of a sicky week last week. 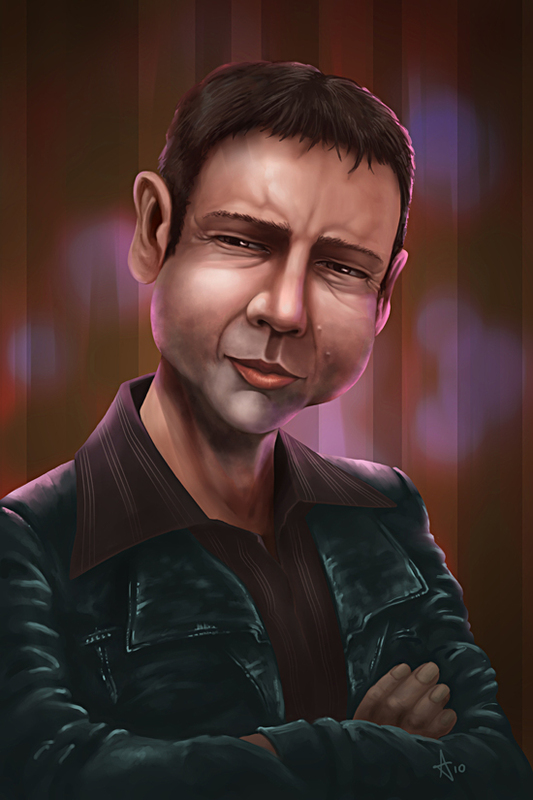 Then I decided to add a Sam Tyler caricature to the gallery, to tie in with the Gene Hunt and Alex Drake ones I did last year. Here’s how it turned out. I did this over a two or three nights in Photoshop. I’ve also created a wip for this over on the Tips and Tutorials page, if you fancy taking a look. Don’t worry, I’ll be finishing Merv in the next few days. I’m finding it quite difficult trying to get a good likeness so far, although I think the first one is looking good, although it almost looks closer to a portrait than a caricature. I’m beginning to think I should have picked someone easier for my first practice, or not so much easier than someones face I know better, like someone of a soap maybe. I’ll keep plugging away though. I think her smile is important to get in there, because she has quite a distinctive smile, and she also has quite a unique shape of nose, which I think I’ve got figured out now. But it’s her eyes I think that are giving me the most trouble. Alex Drake and Gene Hunt from Ashes to Ashes (in case you needed some help) I’m quite happy with them, but I really only used one pic of each of them for reference. So I wanted to try it a way which should hopefully make for a more flexible final image, which is what Em’s suggestions are. It really is worthwhile checking that thread out. and so far I’ve made a list of all the features that I think are important for a final caricature. I may have gone too far with this, but better it being in the description than not, I’m guessing. This is what I got from those pics. So thats it so far, the next is preliminary sketches at low res with the reference, just to get a feel for the face. This is the first one before bedtime, not sure it looks anything like her at all. But it is the first one.